building a new, very large telescope and observatory addition. So, I won't have much time to blog. Then, I'll allocate 1% just for current observatory staff. Don't worry though because I've remembered all of you and will be saving any leftover allocation amount for you, my struggling amateurs. Ok, ok, you're already struggling so just keep on struggling. 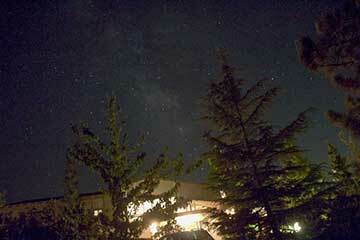 But, let's consider one astro photo taken last night of the Big Dipper. 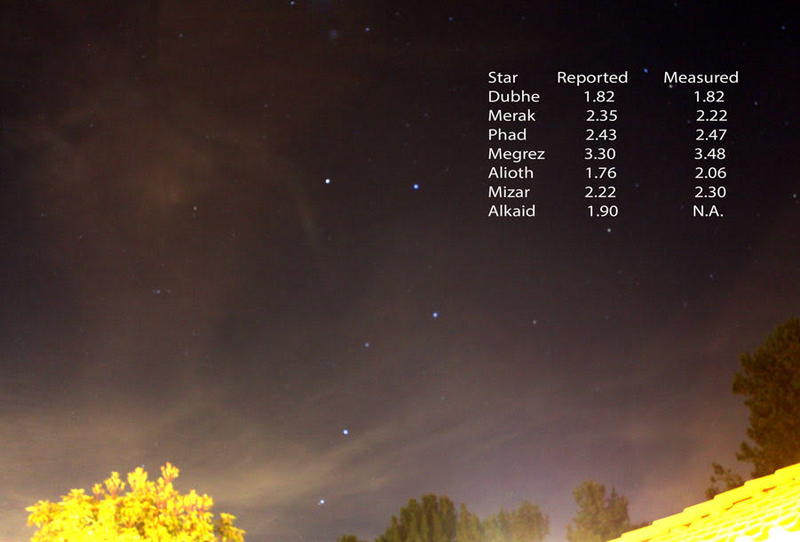 This image was used as a test case to see if the magnitudes of the stars in the dipper can be measured by a beginning astrophotometer, like me. AIP4WIN software was used to analyze the image taken with just my Canon, 18-55@24 mm lens, 13 seconds on unguided tripod. As you can see there is quite a bit of spread between the standard given magnitudes and the measured magnitudes. I used Dubhe as the reference star. It was high in the sky and not as affected by lower atmosphere and clouds. What is going on with the rest of the measurements? Any ideas? How am I going to be able to measure variable star magnitudes if I can't get good agreement with well know stars?I don't know but will keep reviewing.